Product code: 00012 Categories: The Beach, Mens, Weddings. 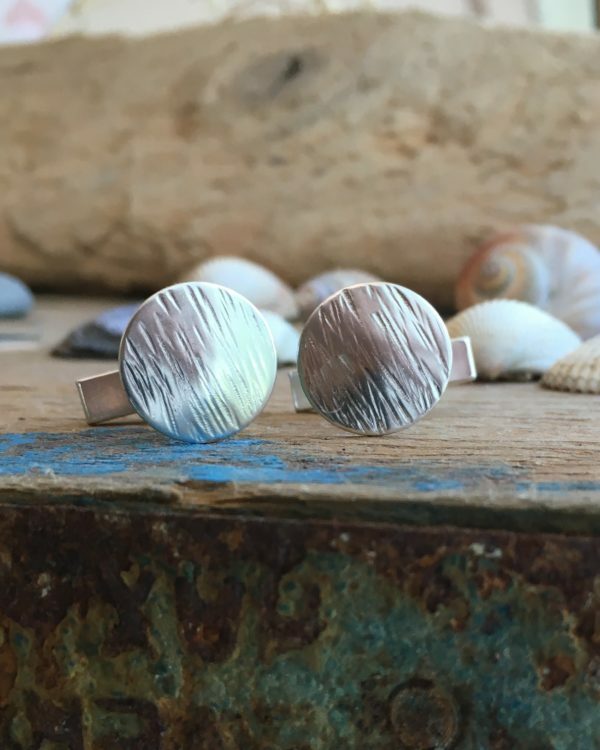 These driftwood cufflinks are hand made from recycled Silver and finished with a driftwood texture. They measure approximately 14 mm in diameter. Please note the cuff-link fittings are sterling silver. The driftwood finish will be done by hand meaning that no two will be the same. 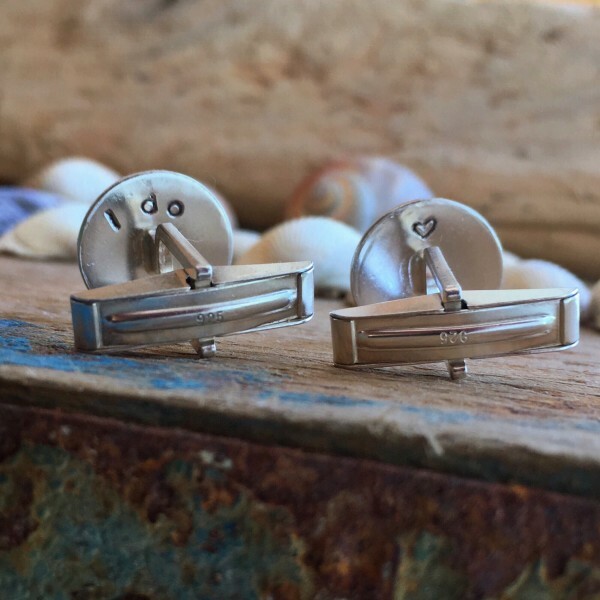 These cufflinks are a perfect gift for the groom and can have the message ‘I do’ hand stamped stamped onto the back of one and a heart on the other. If you prefer just hearts rather than the ‘I do’ please let me know in the notes at checkout. Your cufflinks will be sent in your choice of a cotton drawstring bag or a recycled box. Cufflinks are made to order, please allow up to three weeks for delivery, if you need them sooner please contact me I’m always happy to help.